When you are buying or selling a house, you need unbiased information you can trust. We provide honest, dependable answers through quality home inspections. From the roof to the foundation and everything in between; all visible mechanical, structural, and electrical components are thoroughly inspected according to the Standards of Practice established by the state of Texas. You can expect a clearly written computer generated report with digital photographs of interest embedded within the body of the report. 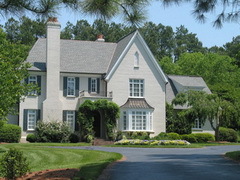 (See our sample report) We inspect new and previously owned homes for home buyers. Also available are Home warranty inspections and pre-listing inspections for home sellers. We work just for “YOU” to make sure the house you have selected is the place you want to call home. We welcome and heartily encourage home buyers to attend the inspection. Your presence at the inspection will give an enhanced understanding of the home and its systems. Information for the public about buying & selling in Texas.